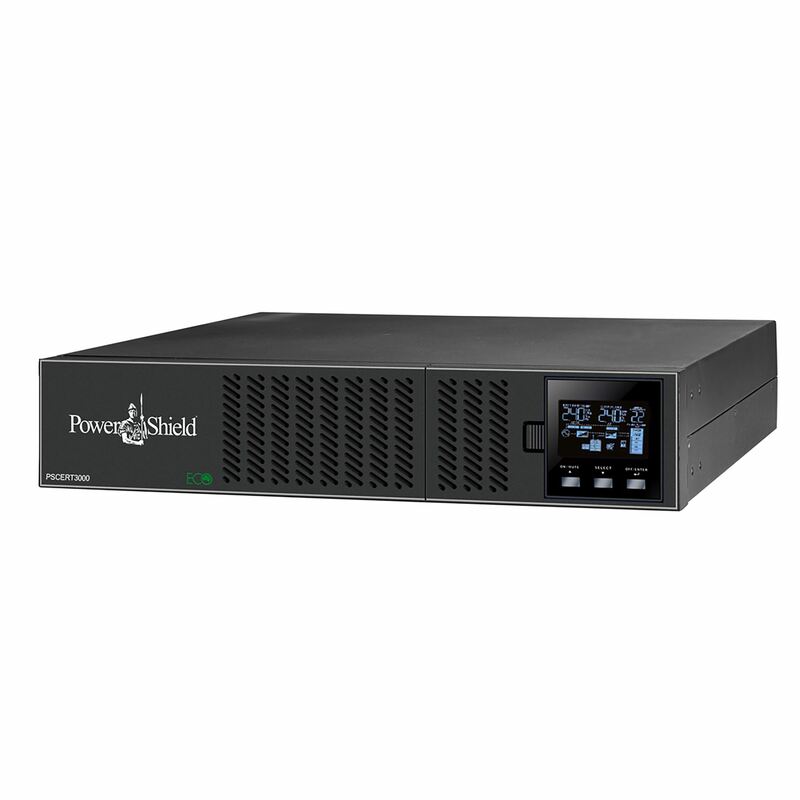 POWERSHIELD Centurion RT 3000VA/ 2700W Double Conversion True Online UPS. Power Factor 0.9 Rack/Tower Design (2RU) Hot-Swappable Battery. EBM Compatible to Extend Runtime. The Centurion RT has an energy saving Advanced ECO mode, which allows the unit to operate at very high efficiency, up to 98%. When the utility mains input voltage is within the ECO range the UPS saves energy by passing the mains supply directly through to the load, while the inverter continues to operate in a passive mode. The Centurion RT incorporates hot-swappable internal battery packs which can be accessed via the front panel for maintenance changes, keeping the UPS operational during battery replacement. Battery backup time can be increased by simply adding additional Battery Banks. The standard Centurion RT has been designed with a larger charger than others ensuring rapid recharge times when adding additional battery banks. The LCD display panel is readily viewable whether the UPS is horizontal or vertical. The display Menu is simple and intuitive. It displays all critical and noncritical parameters, including the estimated battery backup time remaining. 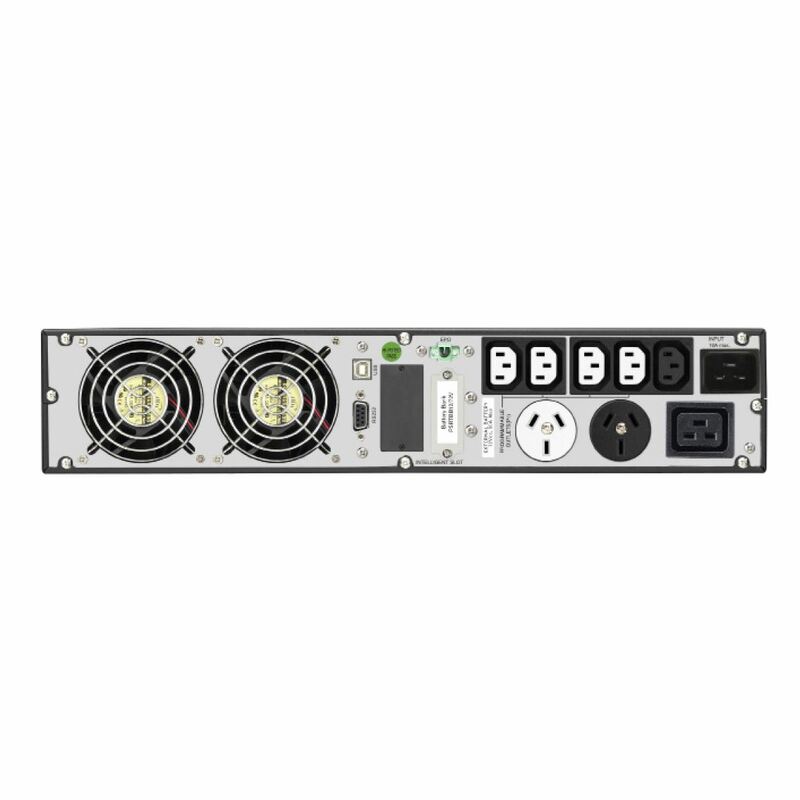 This UPS comes with programmable power management outlets allowing the user to control load segments, thereby extending battery backup times to mission-critical devices by shutting down noncritical items.